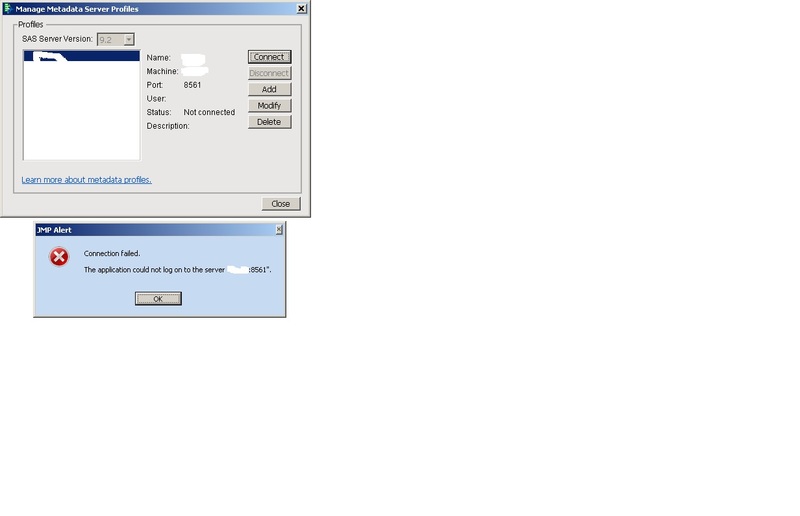 Do you have any idea what should I do when JMP gives an error: "The application could not log on to the server.." when I try to connect metadata server profile. See attached pic. From workplace it connects just fine. Where's the problem? Your metadata server is probably behind a firewall and is only accessible via your workplace network. Okay, I look into that with our IT. This helped already, now I know where to start from.